Awhile ago I looked at a topic that talked about adding MGS' Raiden to HOTS. Of course I thought this was kind of silly, but then it got me thinking. 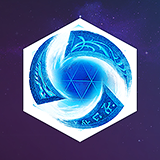 What problems would Blizzard face by adding a non-Blizzard or guest heroes? I personally would prefer to keep HOTS Blizzard Only, but here are some challenges of adding guest heroes. 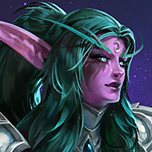 One of the challenges of making HOTS is keeping the art style consistent with all heroes and franchises. Witch I feel the team did a great job on. If Konami decides to be salty say bye bye to Raiden and your gems. I'm OK with just one guest hero, but I am not OK with them taking up half the roster. Plus once you add Raiden, people will start asking for Snake, Mantis and so on. Making a single new hero takes quite some time. Therefore id rather the team spends their time improving the game or adding long awaited heroes. If they add someone like Raiden, there is a possibility Konami would be the one calling the shots, not Blizzard. 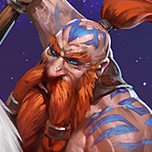 They can ask to make him stronger, rework his skills, or even change other heroes to accommodate him. These are some I can think of for now. Most of them are "maybes", but I feel they should still be considered. Let me know if you can think of any others or disagree. Bastion is Fulgore from Killer Instinct. Chen is Chin Gentsai from King of Fighters. Genji is Jago from KI. Dehaka is Riptor from KI. Cho'Gall is Goro from MK. Diablo is Eyedol from KI. Kharazim is Avatar the little cartoon kid. Bastion is not in the game. Chen is a panda and you can see his eyes. Looks more like Hanzo to me and besides Genji is mostly cyborg compared to Jago. Besides being both "dinosaurs" I fail to see the connection. Goro has 4 arms and 1 head. 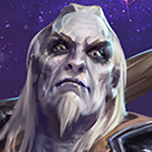 Cho'Gall has 2 arms and 2 heads. Eyedol has 2 heads and a mace. 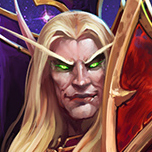 If anything this is who I would compared to Cho'Gall. Stukov has an infested arm. Last time I checked Kharazim can't move the ground with his mind. Blizz, what the hell! These new heroes are all incredibly OP! Why the hell Belmont one-shots Leoric?! Pyramid Head is already nearly unkillable, but you also made him immovable? Garrosh loses a quarter of HP trying to throw him. Pls nerf. And I don't even want to start on the next level of stupid that is Solid Snake. Why in the world does he gain true invisibility while hiding in a box in the middle of a lane?! Still not announced, that's what! According to recent hints the reveal might be scheduled for Blizzcon, but maybe it'll just be another OW hero again.